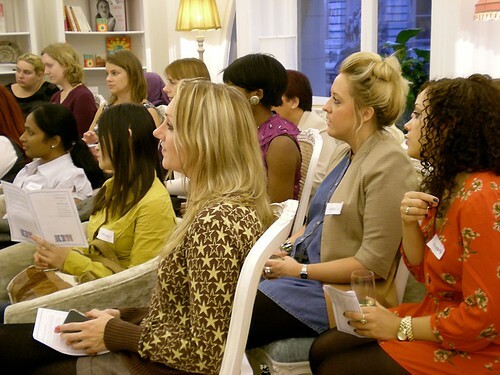 A fantastic evening was had by all as techie women descended on B-Hive, Manchester’s business lounge for women. In beautiful surroundings, with a fantastic speaker from Wikipedia and a gorgeous spread of food (accompanied by a magnificent Wikipedia cake! ), attendees enjoyed a lovely evening of networking and finding out about editing Wikipedia. Only around 9% of Wikipedia editors are female, a statistic Wikipedia’s Fiona Apps (@fionaapps) was keen to improve on. 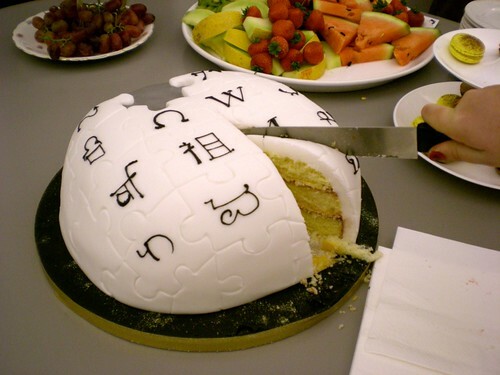 Anyone can edit Wikipedia, but many of the attendees admitted they had seen articles they wanted to improve on or create, but had not had the confidence or didn’t know how. An interesting debate following the talk took in issues of gender stereotyping, the high proportion of males in the Wikipedia community (both editing the site, and at the associated social events), and the reasons why we Girl Geeks personally felt unable to contribute. Hopefully in future we will take that step and join the editing community. Thanks very much to everyone attended, especially Fiona, and also thanks to B-Hive for hosting the event and to North Star Deli for their fantastic and delicious food. Especially the tower of macaroons. If you have any photos from the event, feel free to add them to the Manchester Girl Geeks Flickr Group.